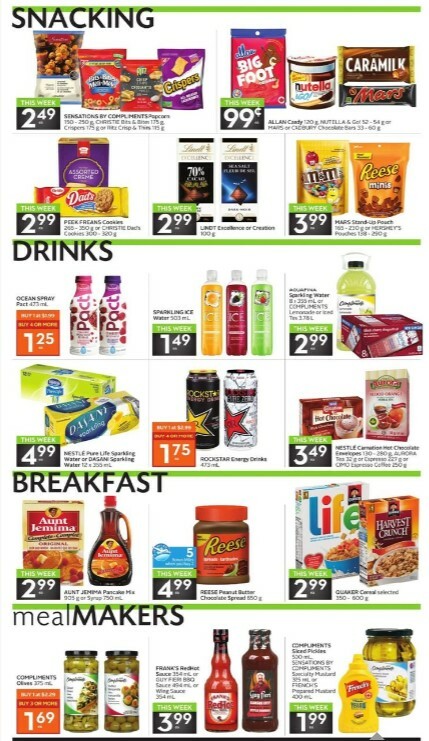 Sobeys Weekly Flyer August Friday 25 - Thursday 31, 2017. Learn more about Urban Fresh, 3 Days only, spend & get, Organic produce, Floral, Seafood, Eat better choose local, Fresh meat, bakery, deli, Snacking, Drinks, Breakfast, Mealmakers, Frozen, Dairy, Natural source, household & pet, also Crazy 8 sale. Sobeys Urban fresh on first page flyer, Your choice Save up to 2.00 Ontario Peaches product of Ontario 3L, Nectarines 2L, Blue Plums 1.5L, Organic Coronation Grapes 1.5 L, Field tomatoes, white potatoes or Dill cucumbers product OF Ontario No 1,3 L.
3 Days only, Spend and get it, Only one coupon offer may be redeemed per transaction, coupons must be clipped and cannot be combined in a single transation. Spend $100, get $10 gift card with coupon and a minimum $100 grocery purchase made in a single transaction before taxes, Also Spend $100, get 100 air miles bonus miles. 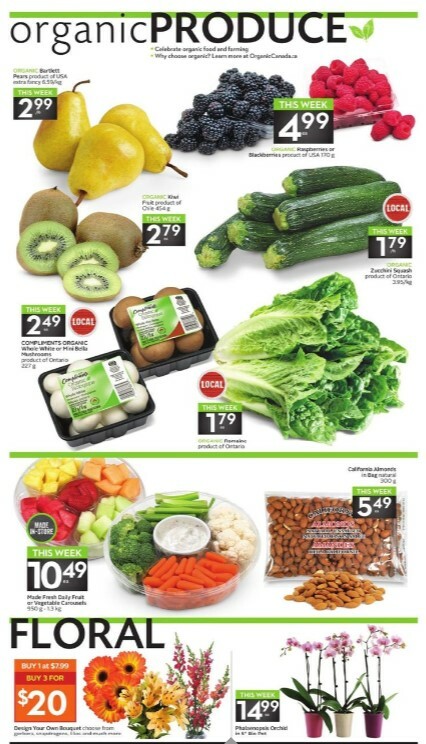 Made Fresh daily fruit or Vegetable carousels 950 g - 1.3 kg - price this week 10.49 ea made in store. California Almonds in Bag Natural - Price this week 5.49 ea. 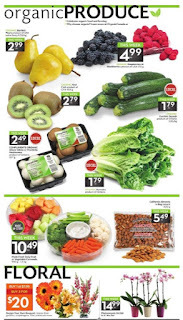 Sobeys Floral flyer also available on page 2 including Buy 1 design your own bouquet choose from gerbera, snapdragons, lilies and much more at $2.799, Buy 3 for $20. Flower Phalaenopsis Orchid in 5" bio pot price $14.99 ea. 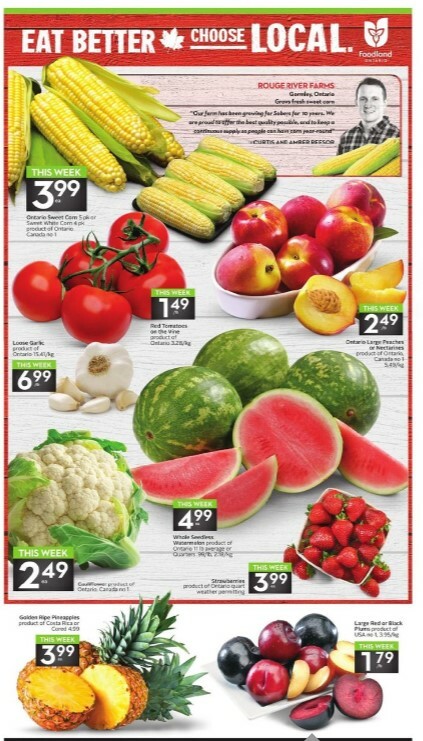 Seafood Sobeys and fresh meat can be viewable on page 3. 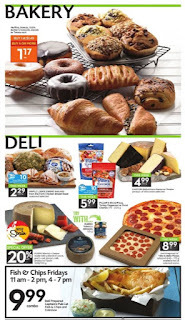 Bakery flyer like muffins, donuts, 100% butter croissants, danish or twist each, on page 4. Deli including maple lodge farms, Piller's sliced pizza, turkey pepperoni or diced chorizo, Sartori bellaVitano reserve cheese also find on page 4. Readmore Sobeys Flyer for find all flyer this week.